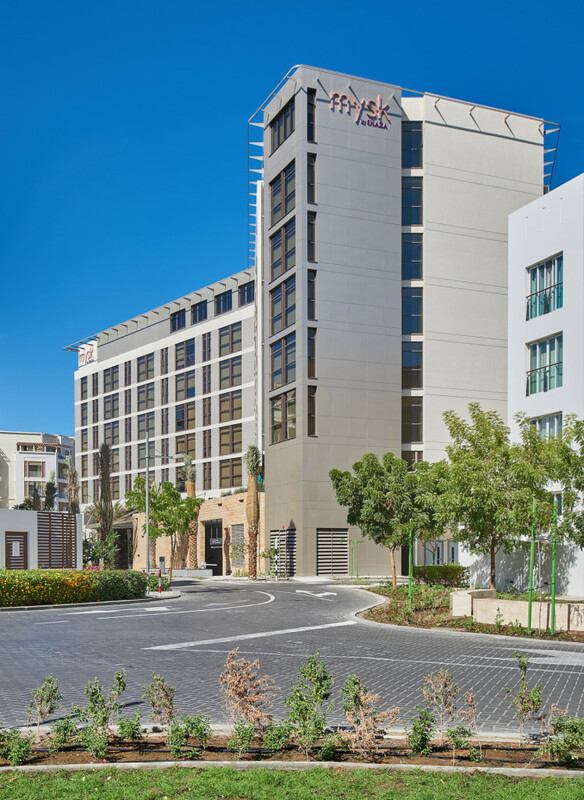 The Mysk by Shaza Al Mouj is located in the heart of The Wave, Muscat development in Oman. 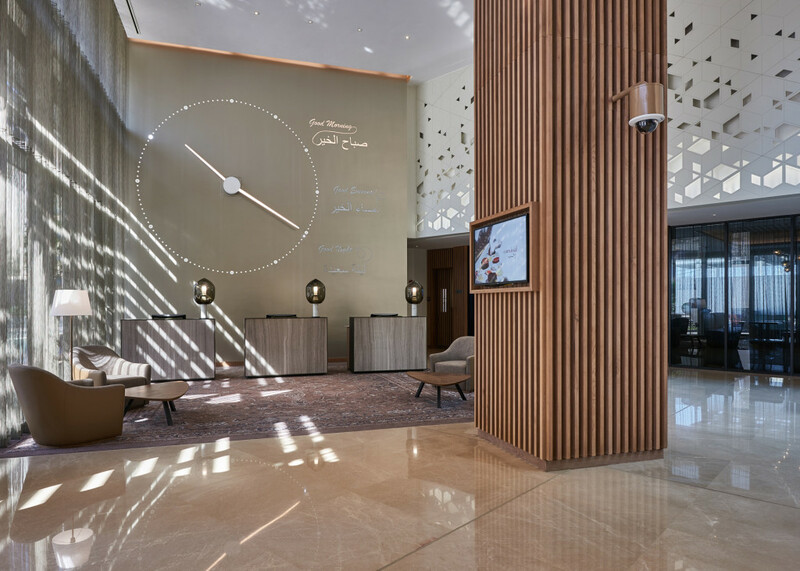 One of the primary objectives of the hotel was to assist in the activation of the central plaza district and to serve as a destination point within the development. 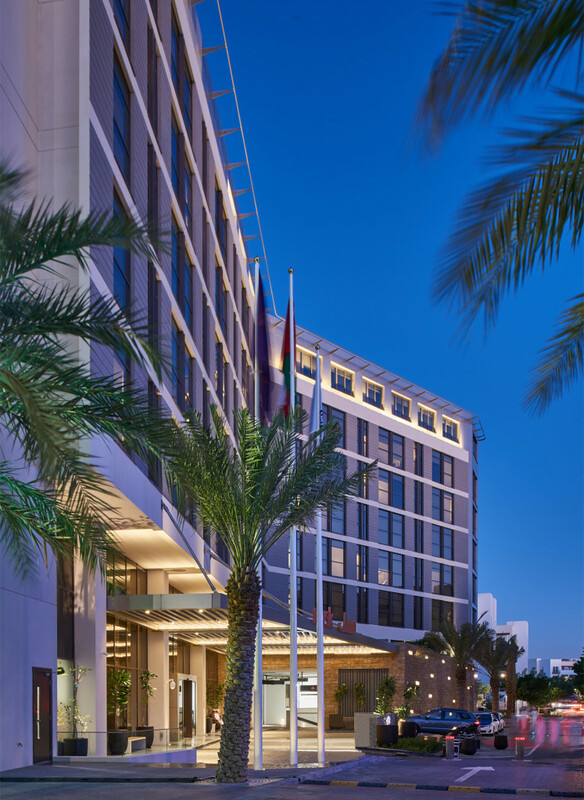 The hotel has been positioned as an upscale internationally branded hotel operated by Shaza Hotels Group, catering primarily to the corporate market visiting the city of Muscat. 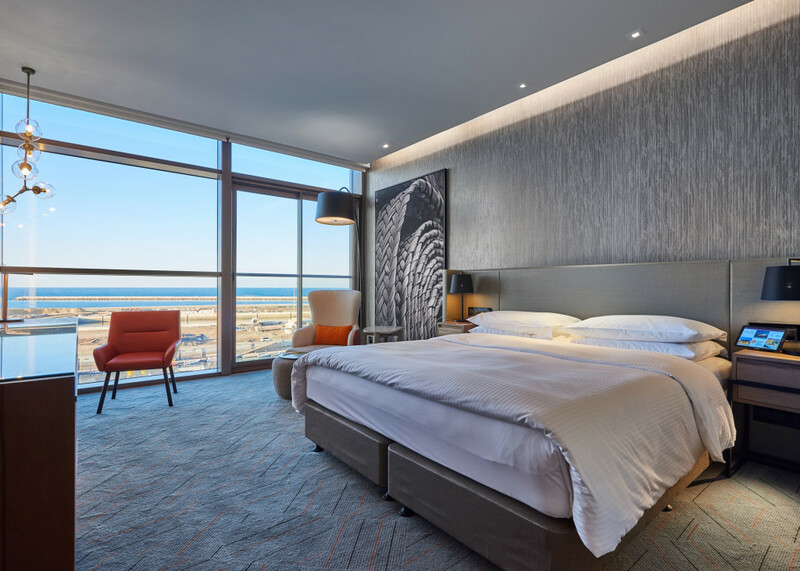 The hotel consists of 197 hotel keys, with a mix of Standard rooms, King rooms, Junior and Senior suites with corner marina views, with the provision of long stay apartments on the roof top terrace level. 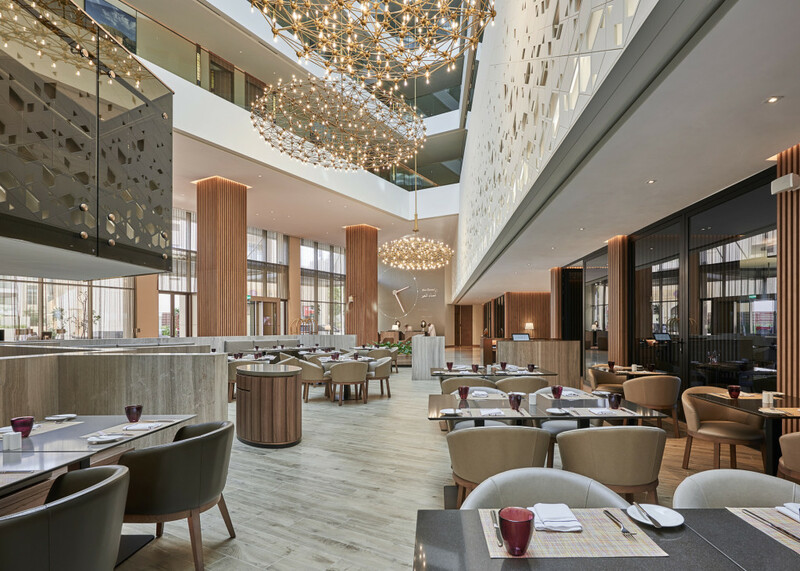 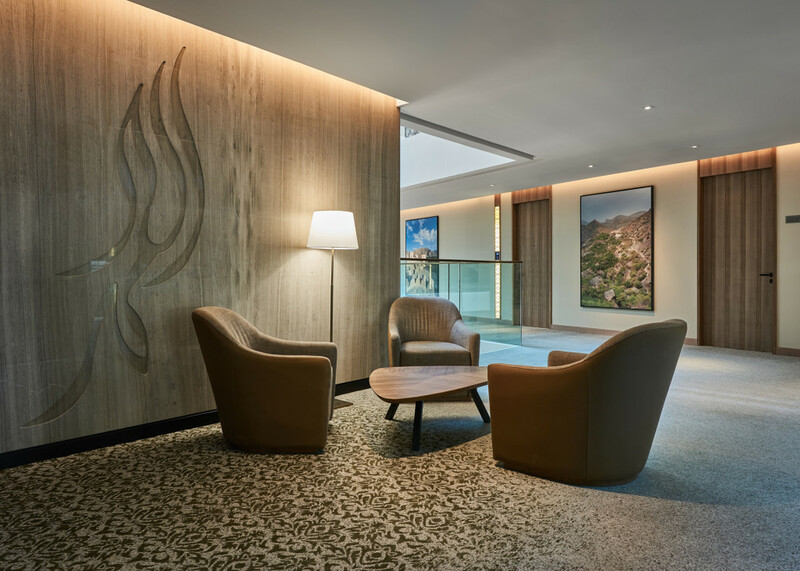 The hotel also includes a number of dining outlets including a bistro and gelataria as well as a selection of meeting rooms and an executive lounge. 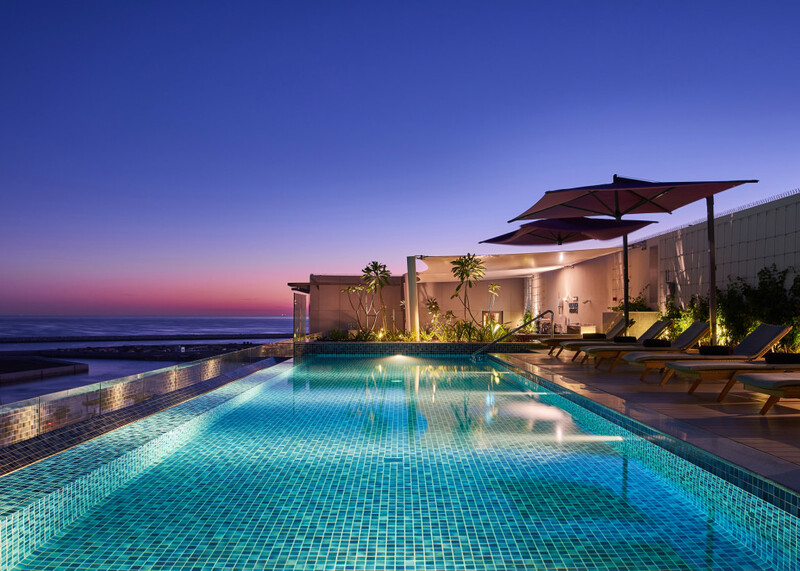 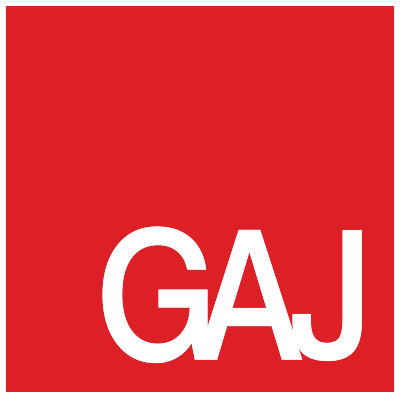 Recreational facilities include a roof top swimming pool and health club. 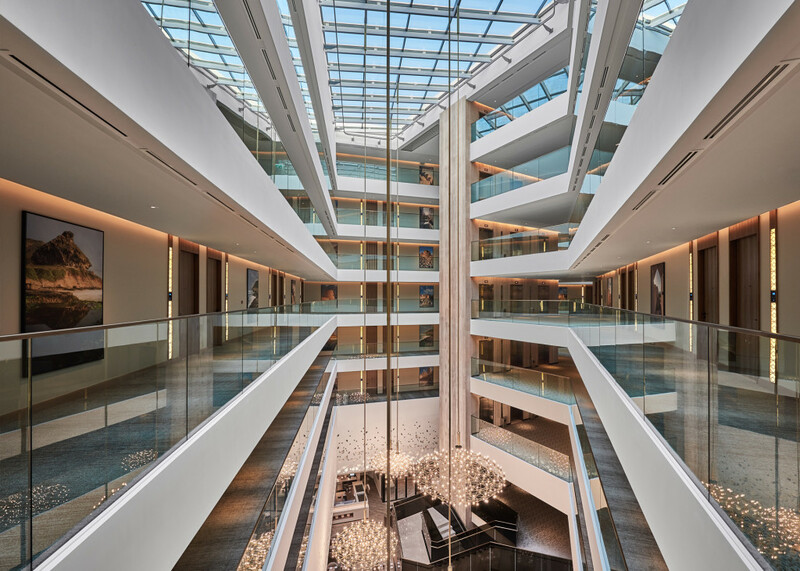 The approach for the lighting design was to express architectural elements and forms by night reflecting the building’s presence and creating a subtle but effective scheme. 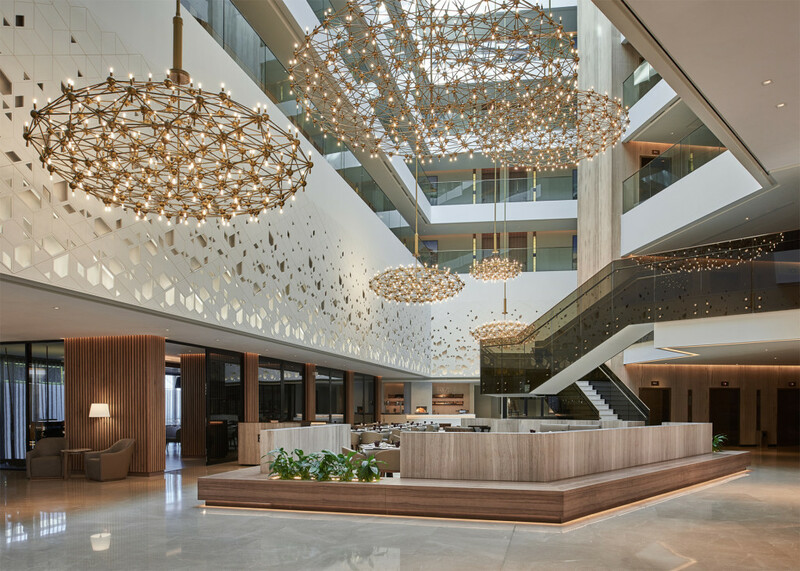 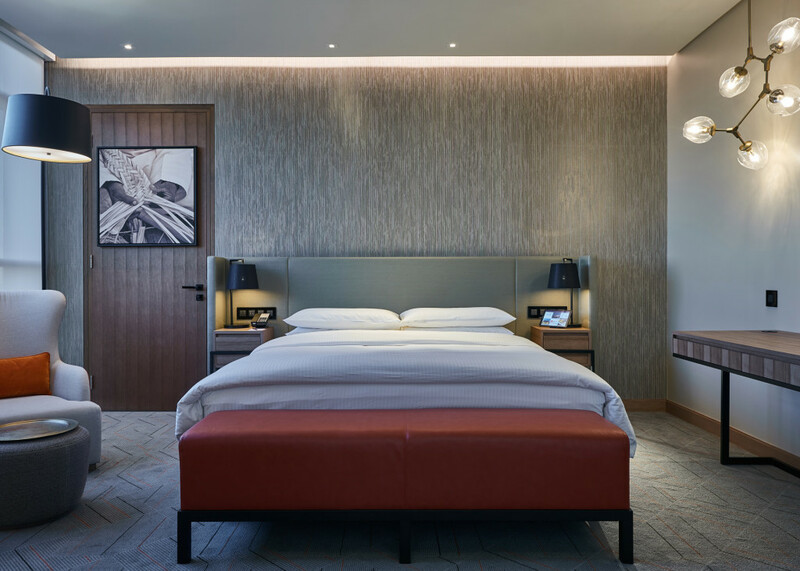 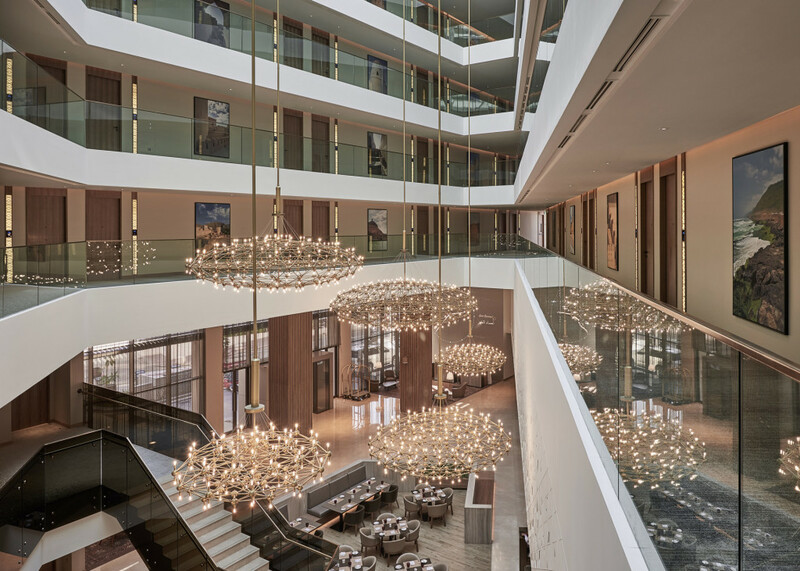 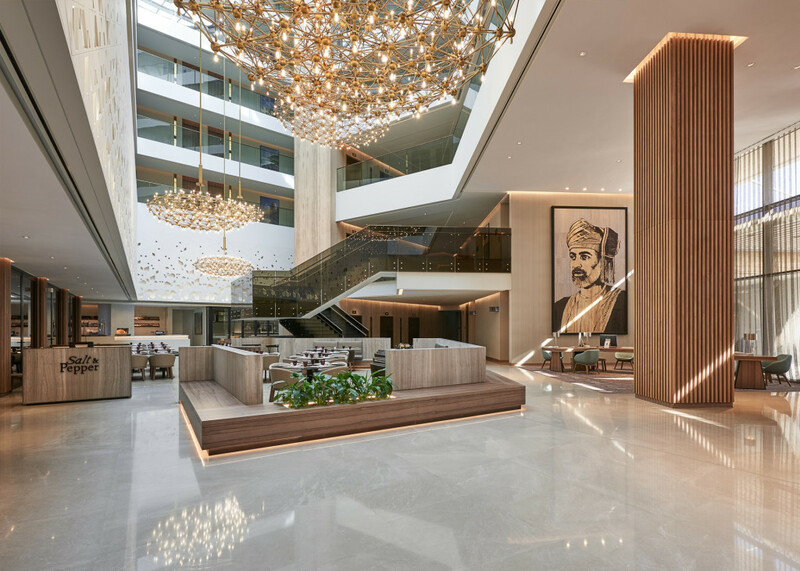 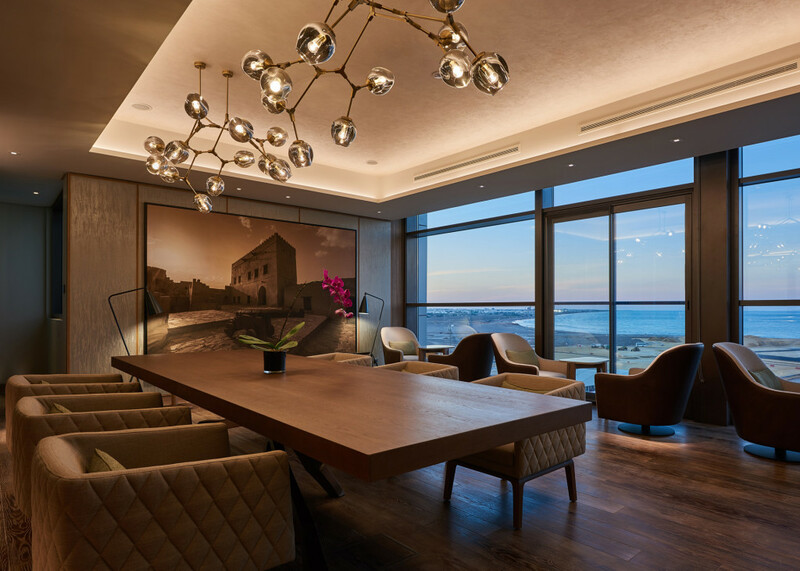 The integrated light pays due consideration to the surrounding environment, the hotel’s proximity to the marina, its vistas and environmental issues limiting light pollution whilst maximising impact.